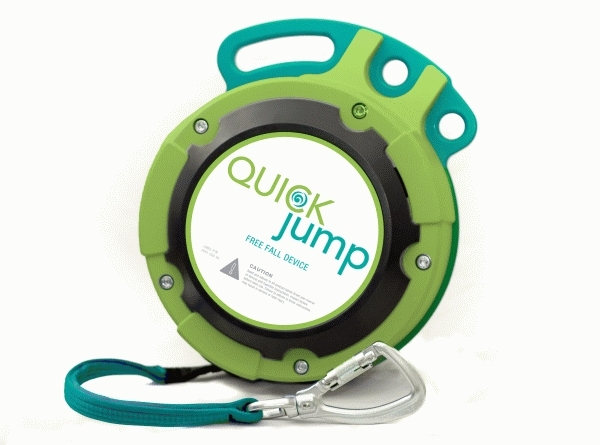 To ensure compliance with safety standards and maintain your warranty, quickJump Free Fall Device must undergo an annual recertification. Note: EU price is not know at this moment. Additional fees may apply for non-warranty parts, including webbing, nozzles and side covers. quickJump's should be shipped in the original box and packing material. Make sure that your device is adequately protected to prevent damage from shipping. Select a replacement box from the options above if you are unable to locate your original box and we will send you a replacement one. Please note: We will automatically replace any webbing or other wear parts (nozzle, side covers, etc.) deemed damaged or excessively worn.